The harrowing tale of survival and suspicion takes its most dramatic turn yet when Molly, Yoshi, and the rest discover that there are more than just monsters in the rift. 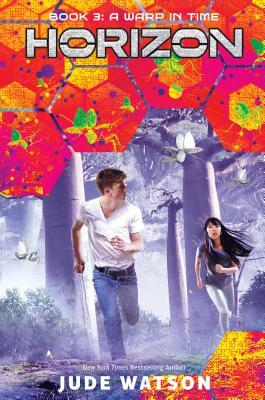 The seven-book mega-series begun by Scott Westerfeld (Uglies) reaches a pivotal turning point as only New York Times bestseller and National Book Award winner Jude Watson could deliver! Bonus: Play the action-packed HORIZON game for free on your browser, tablet, or phone. Each book in the series unlocks exclusive rewards. Do you have what it takes to survive? Jude Watson is the author of six 39 Clues books, Beyond the Grave, In Too Deep, Vespers Rising, A King's Ransom, Nowhere to Run, and Mission Titanic, along with the bestselling Star Wars: Last of the Jedi and Jedi Quest series. As Judy Blundell, she wrote What I Saw and How I Lied, the 2008 winner of The National Book Award for Young People's Literature. She lives in Long Island, New York, with her husband and daughter.